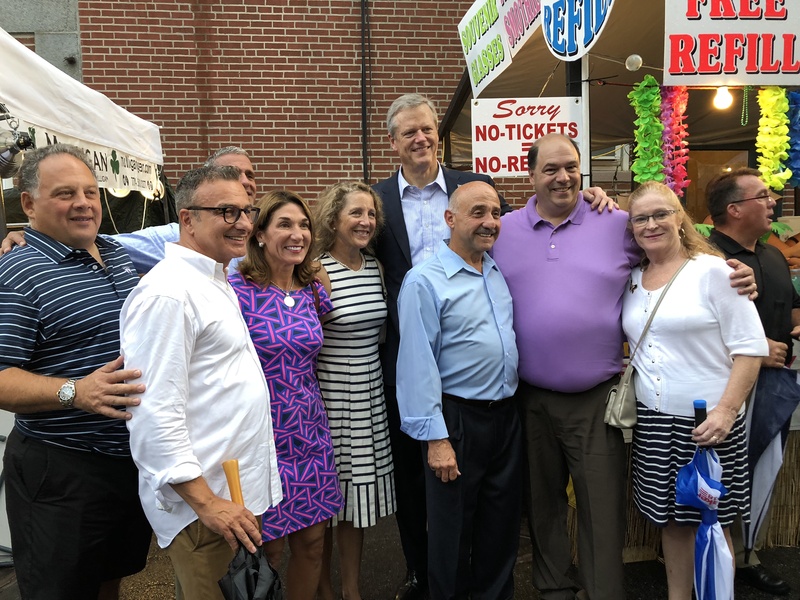 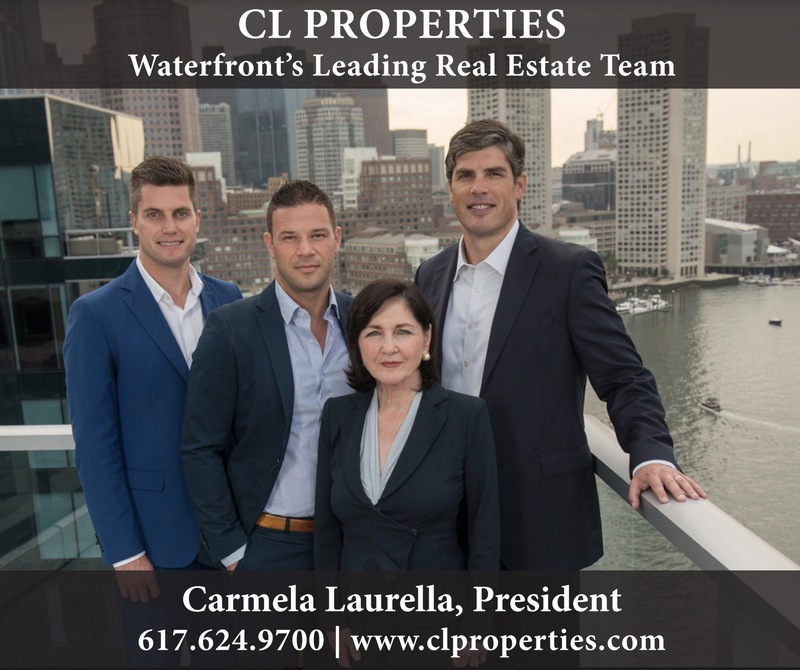 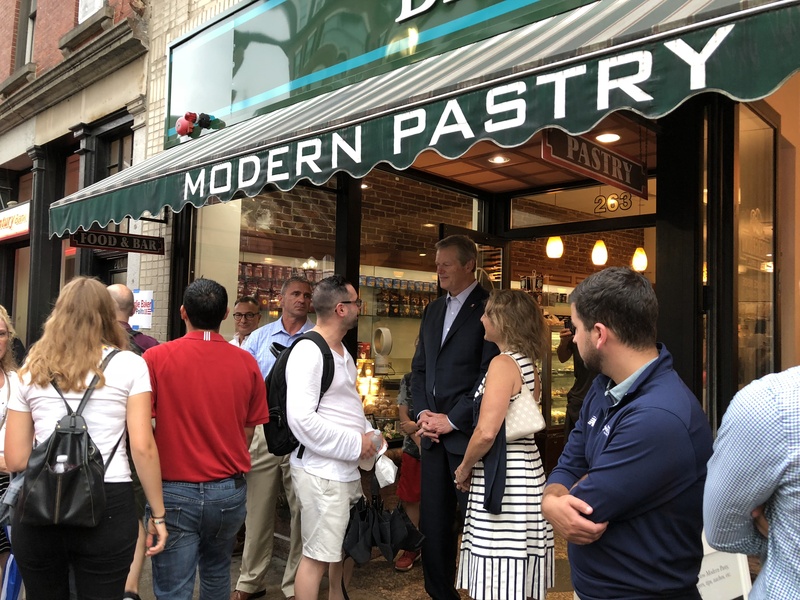 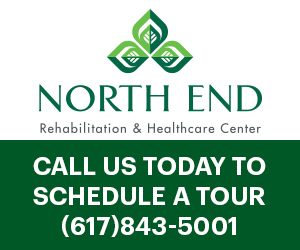 Governor Baker visited North End restaurants and businesses at this year’s Fisherman’s Feast to greet local North Enders. 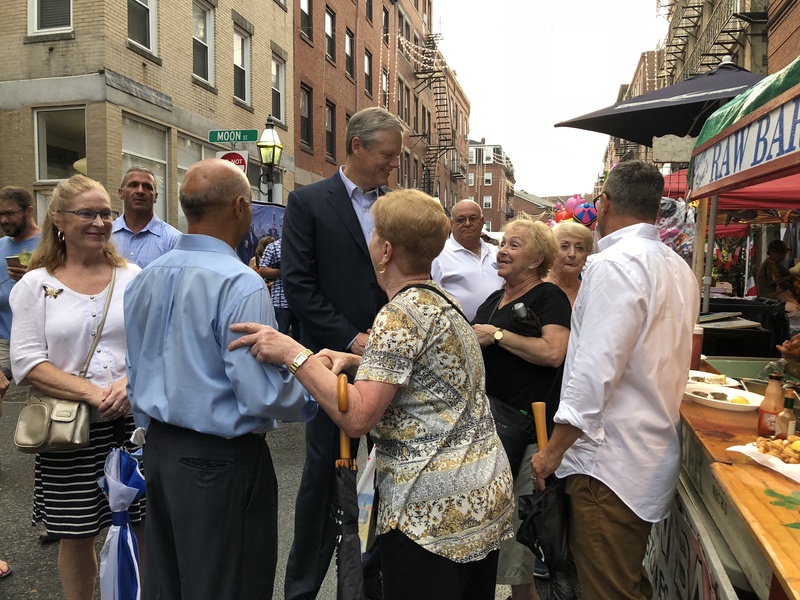 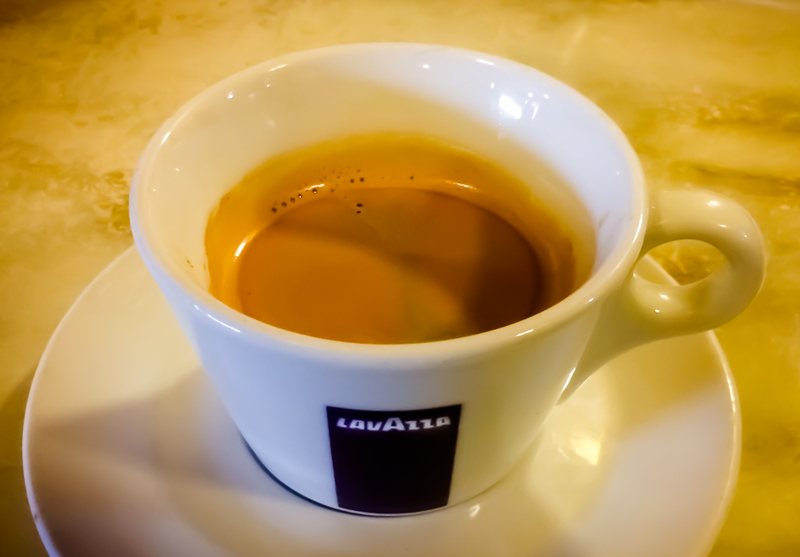 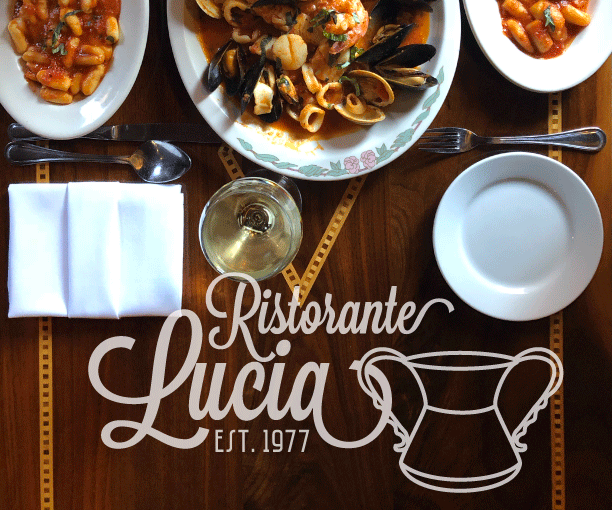 The Governor stopped inside Cafe Vittoria for a quick espresso to escape a downpour, but was quickly back on track to check out the Fisherman’s Feast. 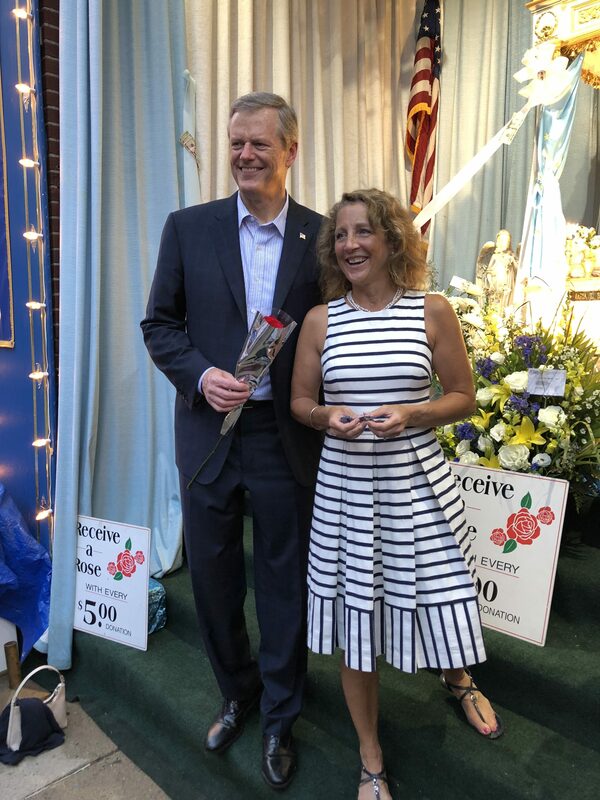 After talking with feast goers, Governor Baker made his way to the statue of the Madonna to pin some money onto it. 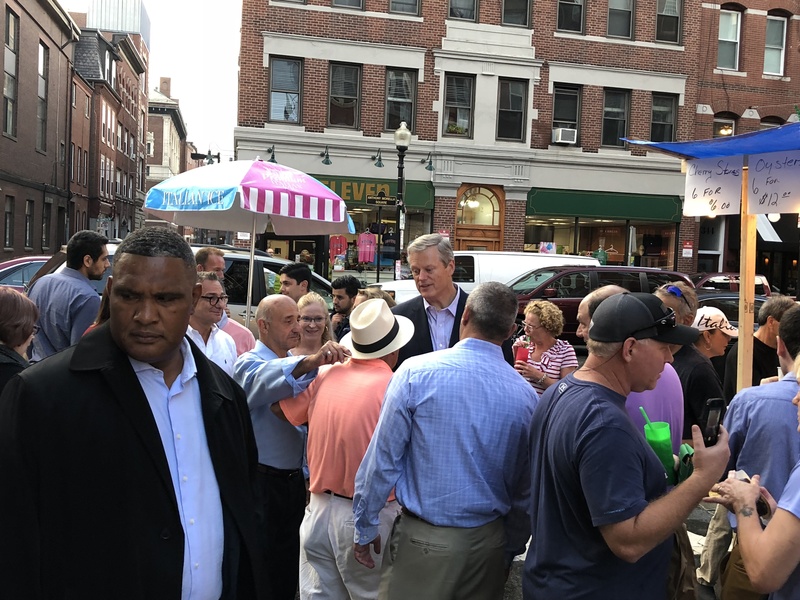 The Governor chats with some feast goers. 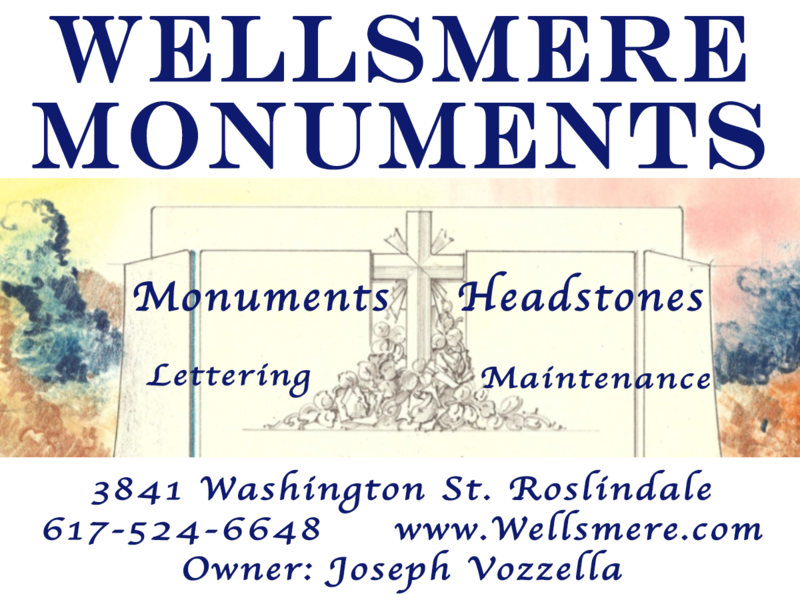 See a schedule of the remaining feasts to come this Summer.